The TU Berlin can grant different awards to people who have rendered outstanding service to the university and to society. Conferral of these awards is published in the bulletin of the TU Berlin. The TU Berlin can award the title „Honorary Doctor“ for outstanding scientific or other creative intellectual achievements at the request of a School Council and upon decision of the Academic Senate. 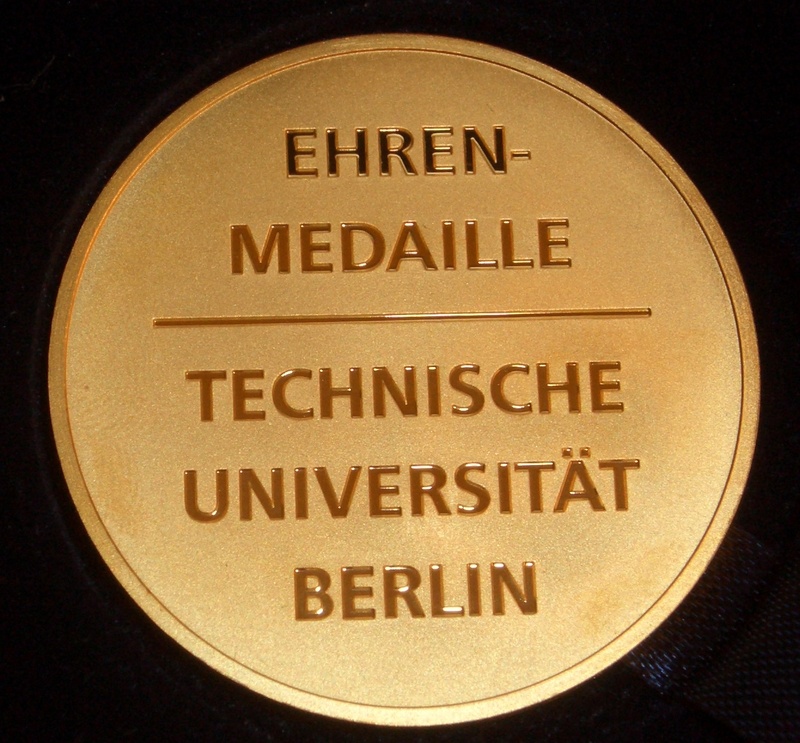 The person receiving the award may not be member of the TU Berlin. Details are regulated by the Regulations for Doctoral Degrees of each school. The TU Berlin can confer the rare award „Honorary Member“. This award requires significant achievements for the university. This honour can be awarded together with the title „Honorary Senator“. An “Honorary Member” may not be member of the university or of its board of trustees nor have direct or indirect employment with the Federal State of Berlin, unless this membership lapsed or the person to be honoured was absolved from all official duties. The President of the TU Berlin can award external people the Golden or Silver Honorary Medal for their outstanding achievements for the TU Berlin. The executive staff of the TU Berlin and/or a dean of the TU Berlin can file an application for the award. The President awards outstanding employees of the TU Berlin the Honorary Needle.